Swap top covers to create the shape that fits your hand best in two easy steps. 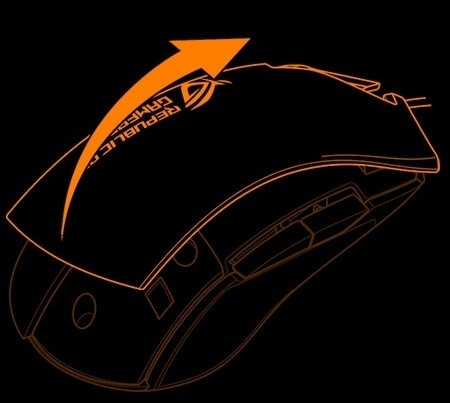 Push the top cover up and forward from the rear of the mouse. 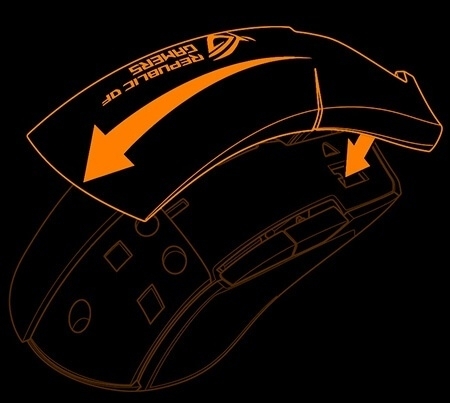 Align the front pin on the underside of the cover with the front socket on the mouse and push downwards. With the intuitive ROG Armoury software, you have complete control over ROG Strix Evolve. Customize Aura RGB lighting effects, create button mappings, tweak performance settings, save mouse profiles, and more. Get ready to dominate your game.